For many years, I have always read the classified ads of newspapers especially on Sundays. Even if I had work, it's still a pleasure reading ads of companies looking for qualified people to fit the job descriptions. 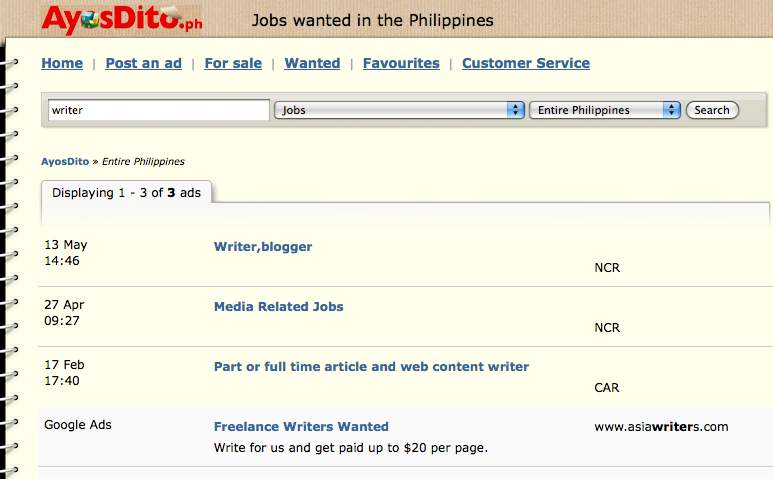 I was looking for freelance opportunities, although the ads you'd find are mostly for full-time positions. Of the many email queries that I have sent out, only a few responded. That's a reality. For whatever reasons, you'll just have to be patient waiting for the right opportunities. For a long time, I have also patronized a paper dedicated only for buy and sell ads. I have posted some text ads in the past selling some items, since it's free for a limited number of characters. It's only a matter of placing your ads in the right category. Potential customers will just come. 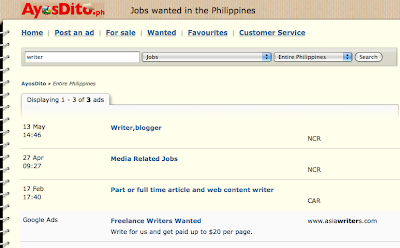 Then, free online ads came to life. 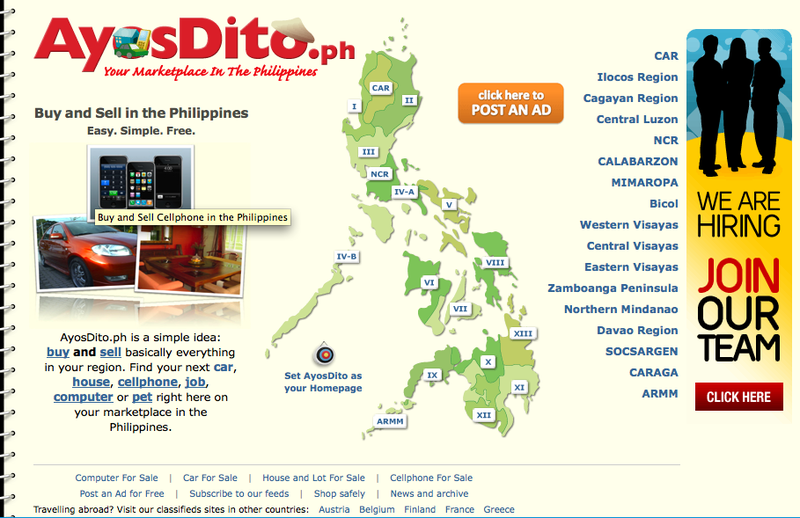 AyosDito.ph is the largest and leading online marketplace in the Philippines today. 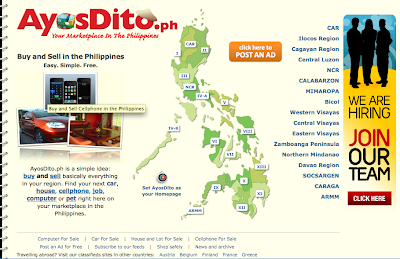 It's a Filipino website for Pinoys on buying and selling online. Whatever you want to sell or buy, you can find it here - gadgets, cars, house, sports gears, collectibles, appliances, CDs, books, etc. Can you imagine that pets (puppies for sale) are also available online? You might find here the cutest puppy you've been looking for. All items are sorted by item category and by regions/provinces. Some people find it difficult and stressful to go out and buy the things they need/want. That is why shopping online has made it more convenient to customers meet their needs. You just need a credit card or do a bank transaction to pay.